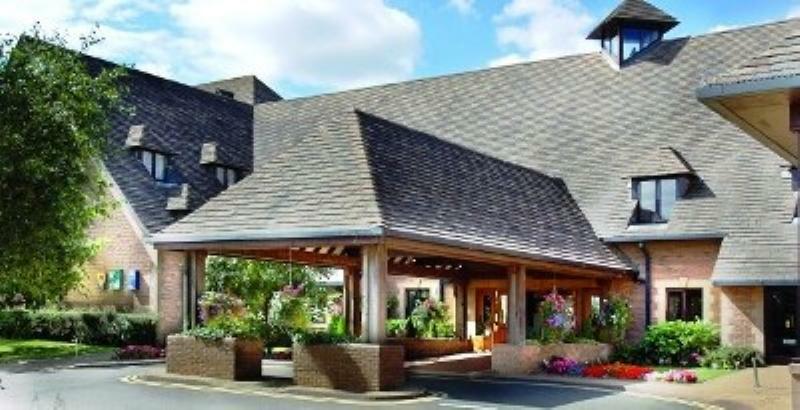 Centrally located within easy reach of the motorway network and the Midlands, Kettering Park Hotel with its Restaurant is a purpose-built modern hotel and spa and a favoured destination for leisure breaks, business and special events. Pride of place on the food front goes to the Kettering Park's Restaurant, an impressive split-level dining room with wrought-iron balconies and a huge stone fireplace adding to the evocative 'Jacobean' atmosphere. The kitchen supports artisan British producers for a menu that might take in baked Isle of Man 'queenie' scallops with garlic butter, Gruyère and breadcrumbs, slow-braised Lincolnshire pork belly with champ, black pudding and cider cream sauce, and seared Brixham halibut with curried mussel chowder. Hand-made pasta is imported direct from Tuscany (try sage and pumpkin tortelli with pesto and rocket) and desserts might range from warm chocolate fondant to apple and bramble crumble with Calvados ice cream. Casual food and drink is also available in the Dissenters Bar. Our beef is aged for 28 days and sourced from local farms. All grills served with slow roasted tomato, flat cap mushroom and chunky chips.